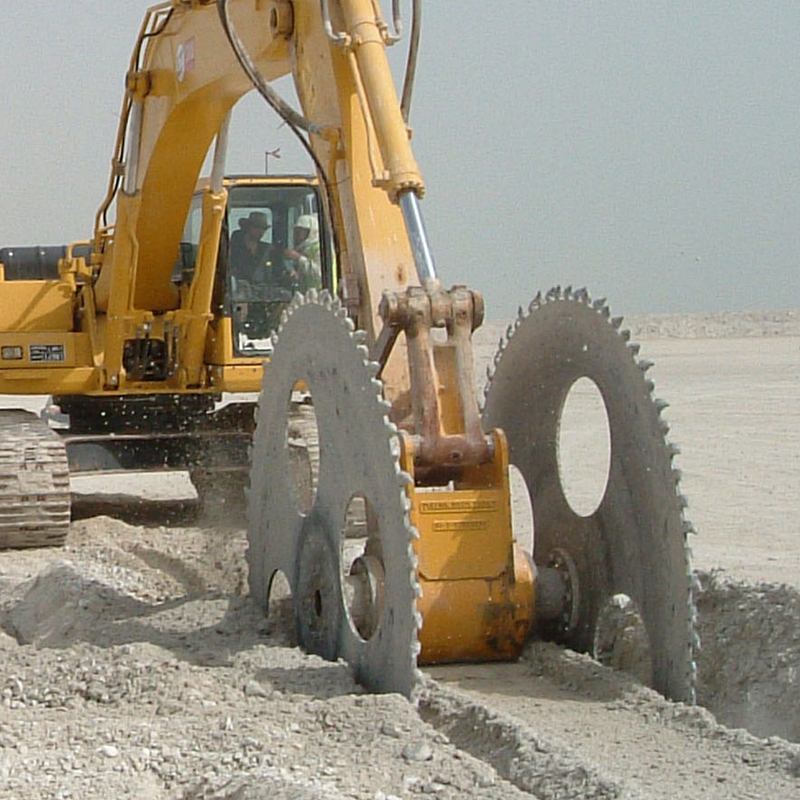 Rock Tools’ products are highly customizable to fit your excavation machines. Contact us and we’ll develop a product with you to meet your needs. When the job requires cutting both vertically and horizontally, Rock Tools Attachments’ rotators can be used to manually or hydraulically re-position the saw blade quickly and easily. This reduces downtime and keeps productivity high. 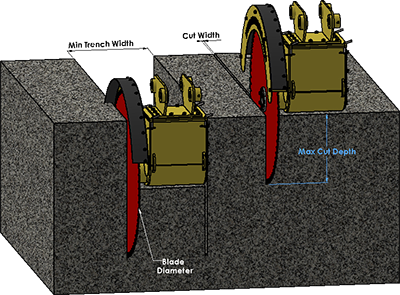 Rock Tools’ extensions allow any of our saws to be repositioned to the end of the excavator stick. Whether you need to cut a trench deeper than your machine’s maximum reach, or you need to cut up along the edge of your tracks, Rock Tools can custom make a product to suit your needs. Rock Tools Twin blade saws are designed and built to maximize production and minimize operator costs. 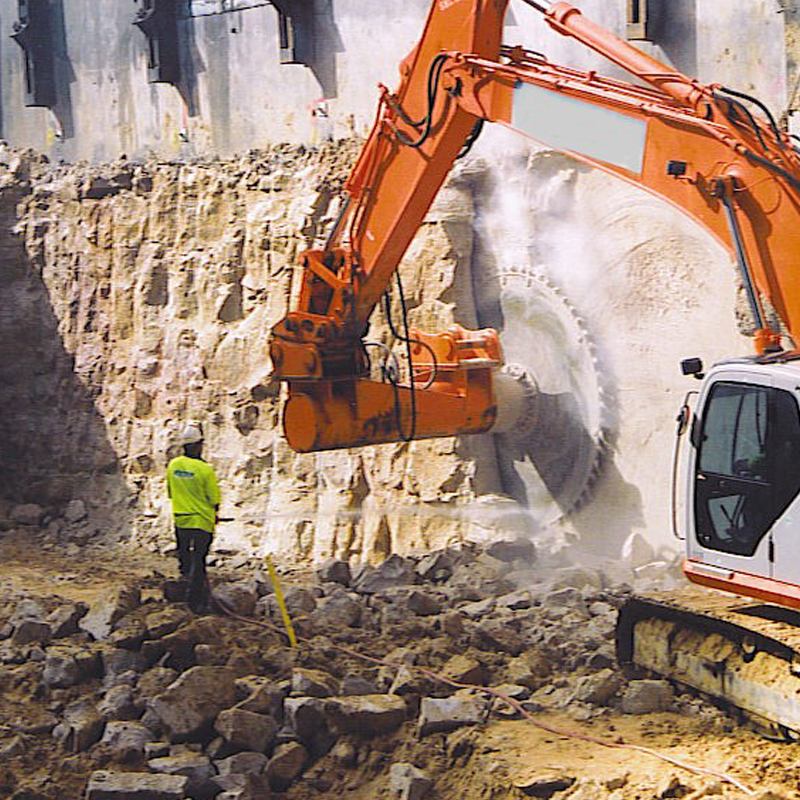 Whether you are cutting blocks in a quarry environment or creating relief cuts forming a trench, Rock Tools Attachments’ can custom build a saw to meet your width and depth requirements.